The average customer today is exposed to thousands of marketing and promotional messages per day and wield more computing knowledge in their hand than NASA had to land the first man on the moon. A potential patient can make a decision about your plastic surgery website in 1/20 of a second. People are overwhelmed with the usual sales pitches and desire a deeper connection with the brands they support. Similar to other brands and businesses, plastic surgery practices only become profitable and sustainable when patients trust them. However, even when it happens, this stage can be temporary. 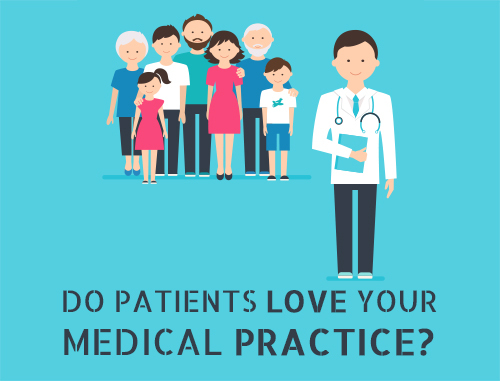 If patients sense they are worth nothing more than their money to you, they will look around and go to another practice where they feel they are valued the most. In the current environment where patients are more informed, it is harder to build trust between patients and the practice. Patients have more choices about which brand to trust – and where to spend their money and how much to spend. People are ready to use the power of their wallet to buy trust. Patients’ increased focus on trust is pushing plastic surgery marketers to re-examine the way they do business, from their marketing strategies to their core business practices. It is a win for patients and, at the same time, creates opportunities for plastic surgery practices to deliver a unique experience and build deeper patient relationships. So what strategies should plastic surgery practices be implementing to establish credibility? How is it possible to strengthen feelings of happiness, satisfaction and connection among patients who have been promised too much and delivered too little? 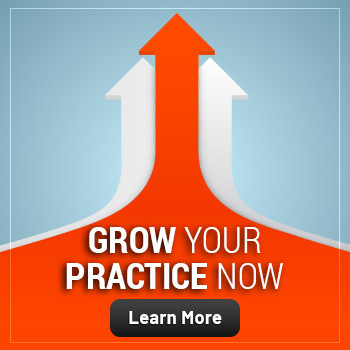 History: Your practice’s track record in terms of consistency and stability. Capability: Your capacity to deliver what it takes in a specific market. Alignment: The extent to which your brand’s vision aligns with patients’ goals. Transparency: The degree to which your staff is willing to be honest (if) when things go wrong. 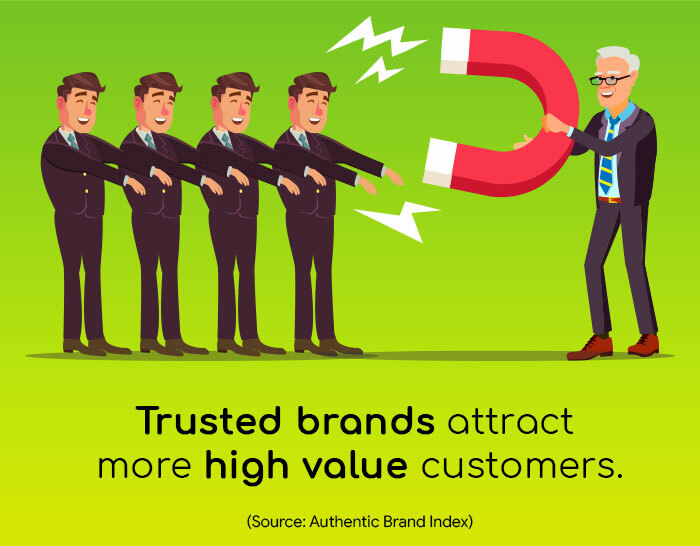 In a sense, trust is like a reputation, and it is critical to have sufficient credits in your brand bank. However, past behavior, while very crucial, is not the answer. How your practice behaves today and into the future is the most critical component in building (and retaining) patients’ trust. Here are some key trust-building strategies to build exactly what the modern patient craves: a culture of trustworthiness. Develop a patient communication strategy: Do not just reach out to patients when you have important news to share. Send regular updates and check in with patients regularly to see how your products are performing for them. Answer questions: Whether through social networks or during personal interactions, do not shy away from questions – especially the unpleasant ones. Instead of giving scripted responses, train your employees to answer patients’ queries based on facts. Do not hide information from your staff and they, in turn, will not hide information from patients. Be accessible: Allow your existing and potential patients to see what your plastic surgery practice performs – put a human face to your brand name. You can begin by sharing company culture, involving patients in product development and giving your target audience a behind-the-scenes look at your practice. Accept mistakes: We are all human, and we all make mistakes. Your patients are more likely to forgive a mistake if you own up to it and handle it professionally. Patients can tell when they are being lied to and being manipulated, and they certainly do not want to feel deceived. Being transparent will certainly pay off in the long run. A survey revealed that 94 percent of customers are more likely to be loyal to a brand that shows transparency. 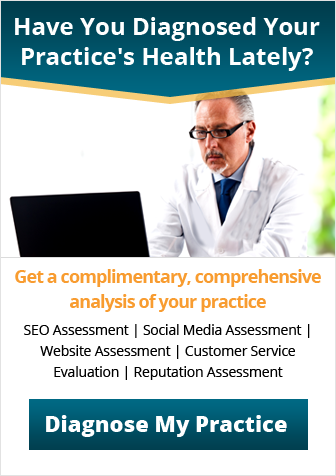 Analyze your patient data: Patient data is the key component of healthcare marketing strategies. However, when it comes to creating brand messaging, patient data goes ignored. Dig into your patient data and identify common pain points, complaints and interests among your patient base. Your message should target these attributes directly. Think patient first, product second. Do social listening: Be active on social media networks and monitor the online conversations that your target audience is having about your brand and competitors. This will help you understand how your brand is perceived and will also allow you to keep up with the issues your patients care about most. Ask for reviews: Do not be afraid to acknowledge that you might be missing the point. It is important to communicate with your patients and learn what you can do to take care of their needs effectively. Get personalized: Never send one-size-fits-all emails. If you are not willing to make an effort to segment your target audience and send messages regarding their specific needs, you may never win their business. 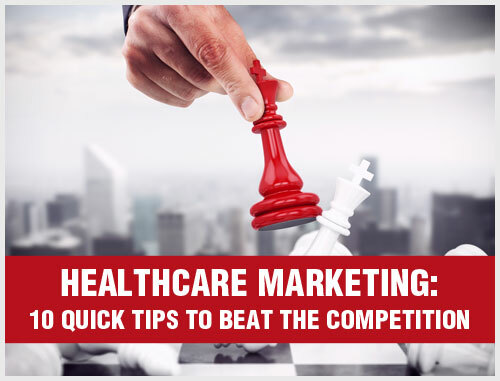 Healthcare content marketing has become a key component of medical branding. However, most medical marketers do not take the right approach. 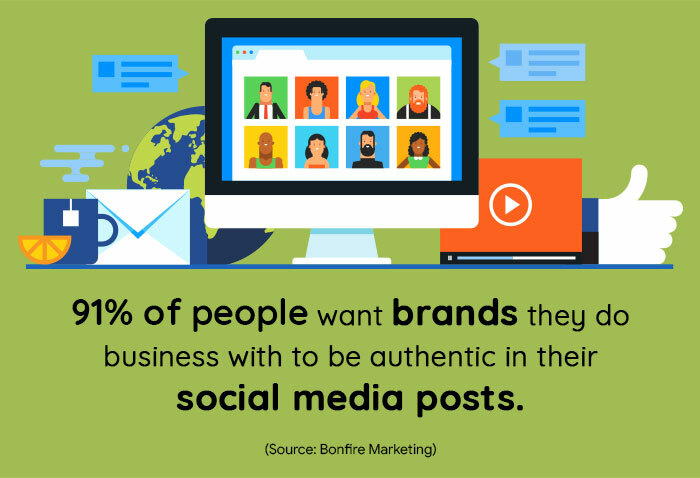 If you are using your content only as a platform to promote your products or services, you will have a tough time building and maintaining trust with your target audience. According to a study, nearly 71 percent of Americans admit they trust brands that provide useful information without trying to sell them products. Does it address a problem or answer a question? Modern patients have different ways to contact a plastic surgery practice. Whether they have a question, a suggestion or even a negative review, they expect an instant response. 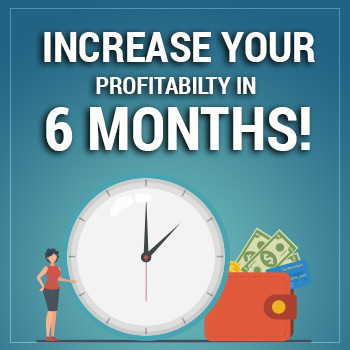 In fact, according to a study, almost 75 percent of customers expect a response within five minutes of contacting a brand. Practices that publicly respond to patient complaints demonstrate their transparency and willingness to help out a patient. Do not shy away from negative comments; answer your patients’ questions and concerns with as much detail as you can. 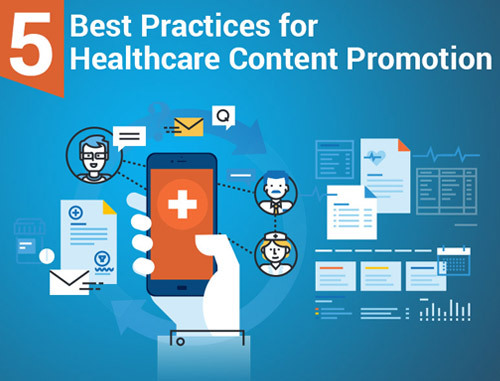 Not only will the complaining patient appreciate the response, but those reading the online conversation will form a positive perception of your brand. How many of you pat yourself on the back and move on after gaining a new patient? If so, you are doing a disservice to your brand. 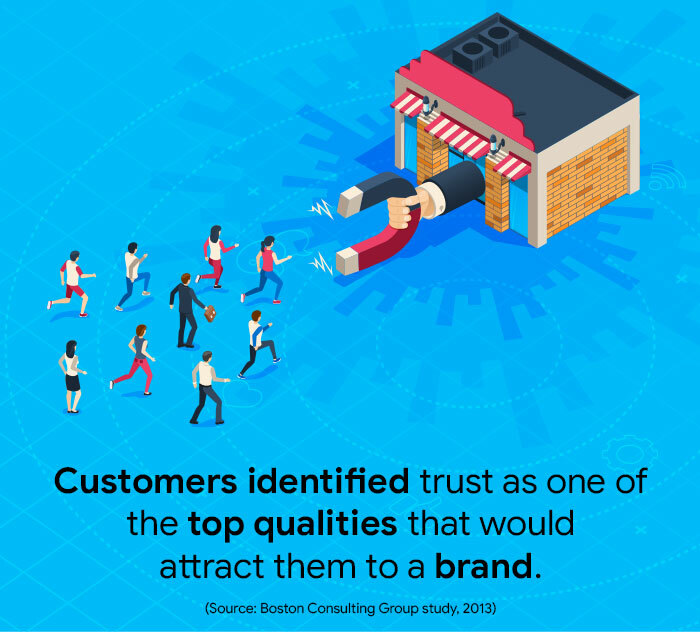 For 48 percent of customers, the most critical time to gain their loyalty is when they first do business with your brand. Think about it: The patient just committed to your service, giving you their time and their hard-earned money. They could have given all of this time and money to your competitor. If you drop the ball after they first visit your practice, they will have no reason to trust all the promises you made before selling your product. After each appointment, reach out to the patient. As they begin to implement your suggestions or use your product, allow them sufficient time to ask questions and give feedback. This will prove that helping your existing patients is just as important to you as attracting new ones. Remember: One positive patient experience is not going to make a significant impact on your brand image. In order to build a brand patients trust, consistency is key. This means consistent messaging and consistent results. One patient at a time. Try to deliver on your promises and exceed your patients’ expectations. Your efforts will not go unnoticed, and soon you will have built a brand that patients know they can trust. Stumped on topics for your healthcare blog? Use these 8 ideas.